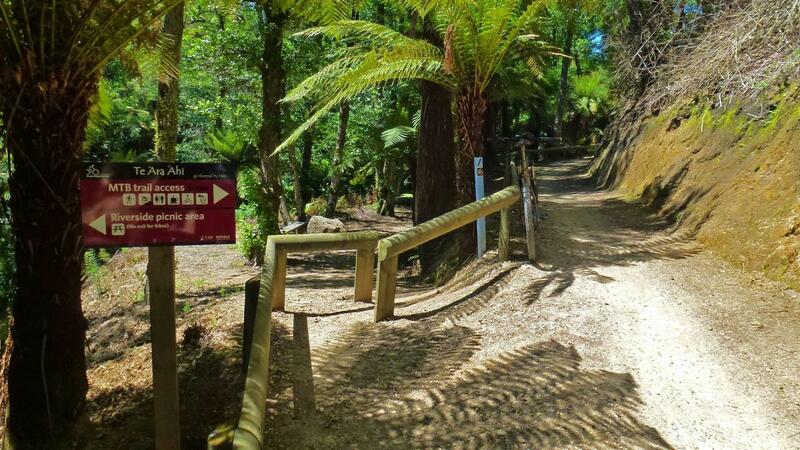 Travel from Rotorua to Rainbow Mountain via this national cycleway that'll take you through the famous geothermal areas. The track will go past mud pools, through a giant Californian Coastal Redwood forest, past Green Lake and Waimangu, and onto Waiotapu Thermal Wonderland, where cyclists may either spend the night to finish the track on day 2 or take a shuttle back to Rotorua. If continuing on, cyclists will go past the Waikite Valley Thermal Pools (where camping is available). Then turn left onto Te Kopia Road past the Paeroa Thermal Bluffs. The trail ends at Lake Ohakuri. From here riders must organize a shuttle either back to Rotorua or to Taupo. Review: You'll ride past four awesome geothermal attractions on this trail... I guess that's the problem - you ride PAST them!!! Some of the trail is easy and some is intermediate - grade 3. 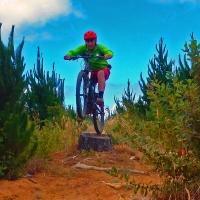 Go Thermal by Bike - Te Ara Ahi MTB Trail 1.00 out of 5 based on 1 ratings. 1 user reviews.